The Government of the Northwest Territories plans to build several more of the survival cabins over a period of several years. With harsh weather, a remote location, four major river crossings, and a region teeming with often-predatory wildlife, the Canol Trail is usually only tread by some of the most prepared adventure-seekers. Now, the N.W.T. government is trying to make the hostile journey a little more safe — by building emergency shelters along the way. Two have been built so far, said Kacee Hunter, the region's manager of parks and tourism with the territorial tourism department. "Once you get over the first ridge, everywhere you look is a mountain — it's quite crazy you're in your own backyard and it's this whole other world just over there," said Hunter. The new cabins will hopefully make the trail more inviting, so more people can take in this view, according to Hunter. The cabins have steep roofs to prevent snow pileup and wood stoves for heat. Hunter hopes that the territorial government will eventually build about 20 of the shelters along the trail. That works out to one cabin every 40 kilometres, along with additional cabins in more challenging areas, such as river crossings. Construction can be difficult in such a remote location. The materials for the pre-engineered cabins were flown across the Mackenzie River by helicopter, where they were assembled on location. While these two structures are the first to be built by the territorial government, they aren't the only shelters on the trail. 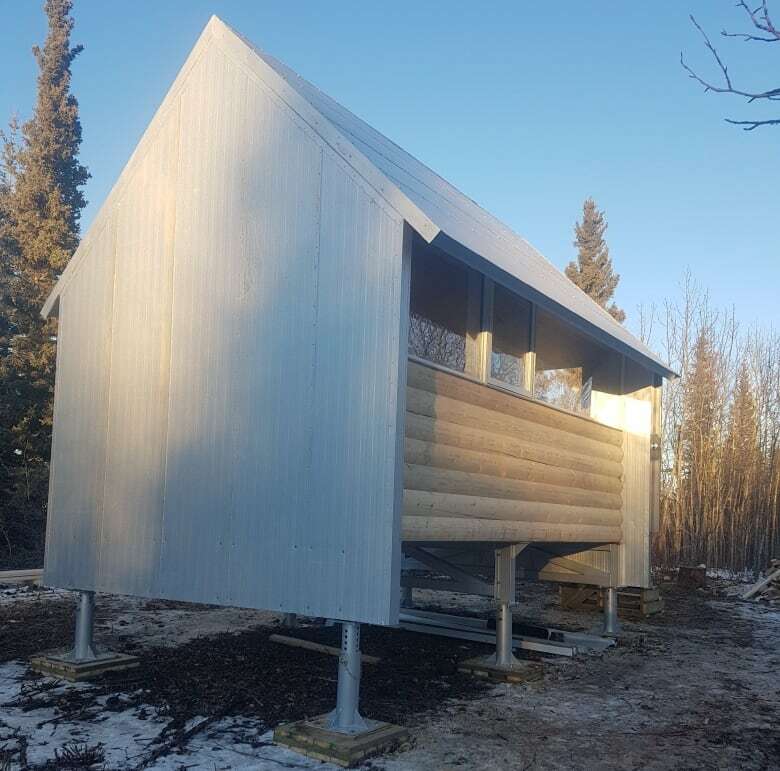 A former "caboose" from the trail's heyday was refurbished and turned into an emergency shelter during a recent cleanup of old wire that had been a hazard to caribou for years, Hunter said. That wire cleanup finished this summer but the wire remains spooled near the trail and is yet to be removed. The federal government is still overseeing a cleanup of the Canol Trail, a former pipeline road during the Second World War. The historic Canol pipeline road stretched from Norman Wells to Whitehorse in Yukon. Now, the Yukon portion of the old road is a seasonal road, and the Northwest Territories portion remains a rugged trail. The cleanup includes removing asbestos from buildings and getting rid of other debris. 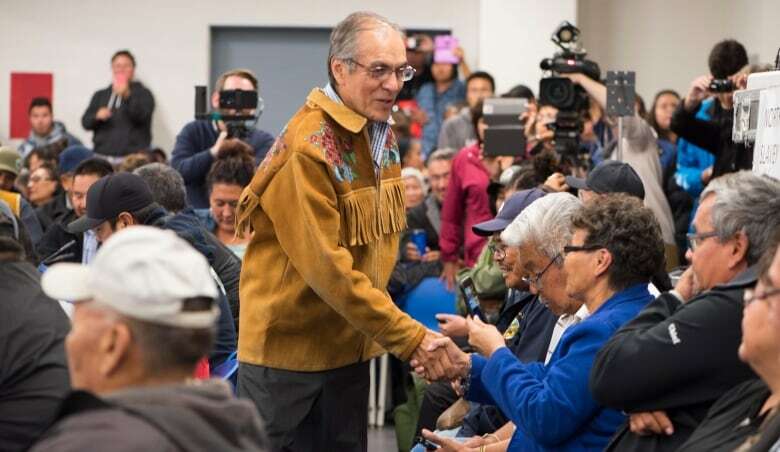 Hunter says the federal government should be finished its cleanup around 2020 and the federal government is expected to sign over the N.W.T. portion of the trail to the territory after that. When that happens, Jess Fortner, the region's superintendent for the Department of Industry, Tourism and Investment, says the territorial government wants to be ready with a "world-class tourism destination." Currently the Sahtu region has the least square footage of territorial park of all the regions of the N.W.T., according to Fortner. But that will change with the Canol Trail. After the cleanup is complete and the federal government passes the land on to the territory, it will become the largest territorial park in the Northwest Territories. Norman Yakeleya is a longtime advocate for cleaning up the trail and making it more friendly to people who want to spend time on the land. He welcomes the new additions. Yakeleya has been on the trail leading hikes with both youth and adults in difficult conditions, he told CBC. "We've been out there when it was cold," he said. "Now we have some safety, we have some protection." He adds the Northwest Territories government is "involving the Indigenous governments" in regards to the locations of future shelters along the trail. "It's a good start," said Yakeleya.